The Iroquois is the first race on the Kentucky Derby trail for 2019 — offering 10 points for the winner. 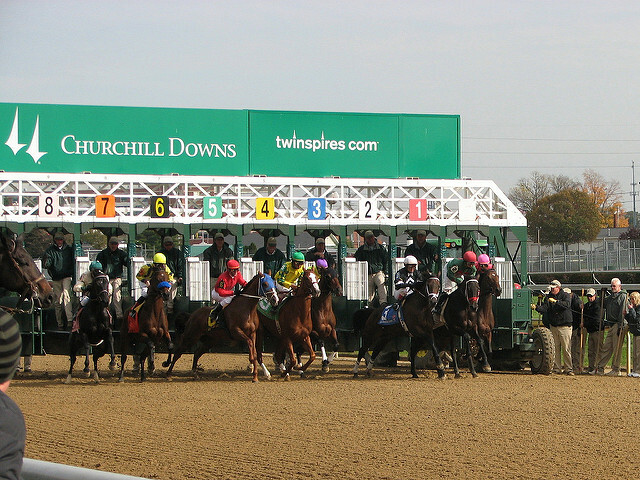 A large field of 12 goes to the gate in this GIII event in which 2YO’s will navigate 2 turns and 8.5 furlongs. 2YO’s routing in a graded stake — that’s all you need to say in order to bring up the Derby antenna. It is, of course, still very early, but serious contenders for the Breeders’ Cup Juvenile tend to emerge in these early races. In turn, the Juvenile is an important “prep” race for the Kentucky Derby. Tight Ten (2-1) looks the overwhelming favorite on paper. Trained by Steve Asmussen, he has a Beyer Speed Figure of 80 last time out, finishing second in the Saratoga Special. His biggest question is whether he can get the route of ground — something that seems likely with Tapit as his sire. Distorted Humor — who I think of as producing more milers — is his damsire. To confirm that, his dam has produced more sprinters than routers and was a sprinter herself on the racetrack. If you’re going to take a shot that Tight Ten is a better sprinter than a router, you will likely get paid – the key is to find the right horse (or horses — if you put it in a multi-race exotic). Even with a sprinting propensity, It’s also possible he’s still a better router than this group. He’s likely to be odds-on. The rest of the field comes in as slower sprinters. Here are a few that could improve with distance. Tobacco Road (6-1), who is also trained by Steve Asmussen, broke his maiden at Ellis Park and followed it up with a win as the favorite in the Ellis Park Juvenile. He is bred for routing with Quality Road as his sire and Lomitas (GB) as his damsire. His dam has never produced a route winner, however. She has produced her share of 2YO winners — with 5 winners from 12 starts. He rates a chance. Manny Wah (8-1) is trained by Wayne Catalano and broke his maiden over artificial surface at Arlington Park. He then finished a close third in the Ellis Park Juvenile. His sire, Will Take Charge, should eventually produce routers. Proud Citizen on the bottom should help stamina as well. His trainer doesn’t excel at first-time routing — only 10% — which raises some red flags, even though he’s only adding 1.5 furlongs. Everfast (12-1) is trained by Dale Romans who relatively excels at first time route. This horse won first time out at Ellis Park coming from off the pace — always a nice sign. His sire is Take Charge Indy and his dame sire Awesome Again, so distance shouldn’t be a problem. Pole Setter (6-1) has already shown an ability to get a route, although it has been over the turf. He finished 6th after a competitive run in the Kentucky Downs Juvenile. Trained by Brad Cox, he adds blinkers today after weakening late in his last race. His last workout is a bullet, so it’s likely that the blinkers help the focus. Analysis: It’s too hard to take a low price on Tight Ten, even though odds-on in graded stakes, especially 2YOs, tend to be formful. I’m leaning towards the upside of Everfast, who at 12-1, could be a daymaker in the multi-race exotics if the odds stay high. Multi-race players can play several and I’d also include Pole Setter who has enough dirt in his pedigree to make an interesting run as well and stamina built-in from that Kentucky Downs run.